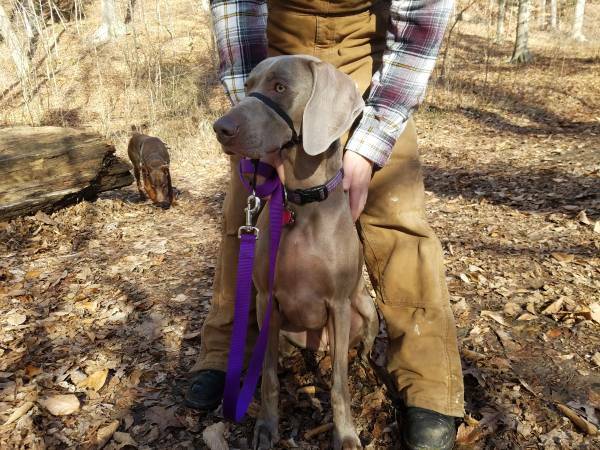 $1,000 dollar reward: Lost Weimaraner in Boone/Clinton county Indiana. Her name is Bella and she is 2 years old, and had a collar on with tags when she disappeared. She is my brother's dog, I was watching her while he moved to Dallas TX. We think she may have been taken. We have been spreading the word via social media, fliers, and local postings. Heartbroken family hoping for her return, no questions asked. Please help. Contact me if you have any information at all. She could be anywhere at this point. Russiaville, Kokomo, Terre Haute, Evansville, Richmond, Fort Wayne, South Bend etc. Everyone please keep an eye out!